Do you want to add a little personal touch to your holiday gifts but you don’t have time to make a big project? Make gift giving a bit more personal by adding a crocheted gift card holder or gift bag! Some of these can be used as ornaments afterwards – some of these can be used as wallets and business card holders – all of them will be handmade and full of love when you gift them to someone on your list! 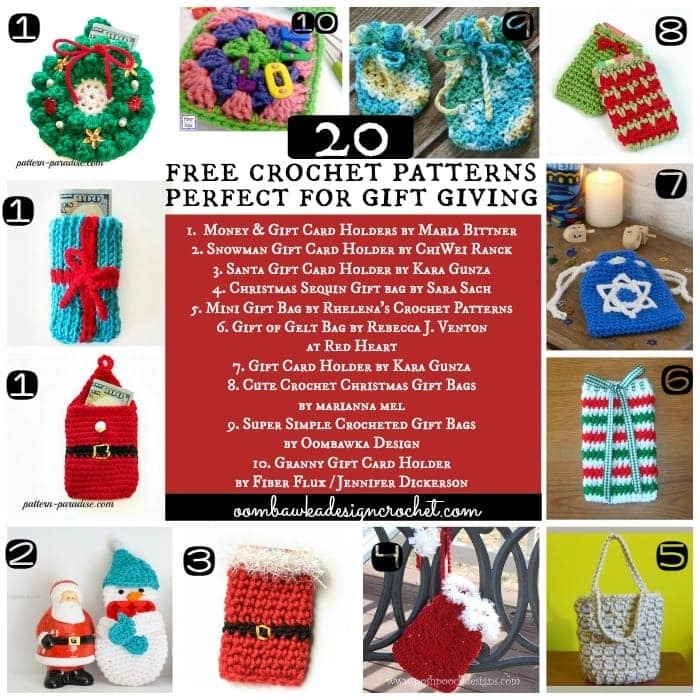 20 Free Crochet Patterns Perfect for Gift Giving !